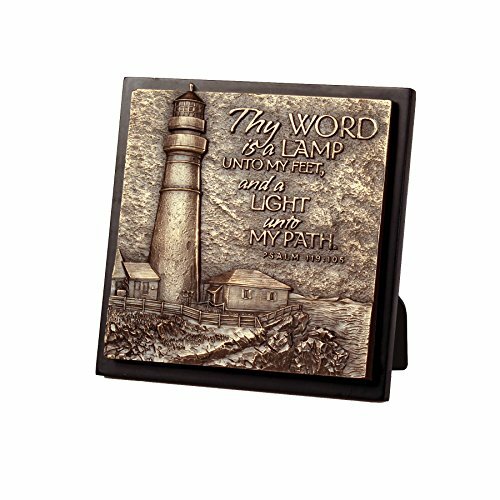 Lighthouse Christian products 5 3/4 x 5 3/4moments of faith small square Lighthouse sculpture plaque. We are known for our high quality and our design team creates innovative, visually appealing and spiritually uplifting encouragement products that will appeal to you. Every product we sell has a well-chosen Scripture incorporated into the design. In addition, each Lighthouse product comes with one of three booklets - power of the cross, your new life, or the source of hope. Each of the booklets shares a message of hope from God's word.